Much of the trouble encountered with reinforced and prestressed concrete today is due to the ingress of harmful materials such as carbon dioxide, chlorides and sulphates. In gaseous form or as solids dissolved in water, they penetrate through the zone of concrete that is in contact with the environment where major damage is done. Therefore, knowledge of the penetrability characteristics of the near-surface zone of concrete (and such building materials) is of utmost importance, which can be obtained through site measurement of gas and water permeability and water absorption. Gas Permeability tests can be carried out on most building materials for which the coefficient of permeability is less than 10-10 m/s. Both the Water Permeability and Sorptivity (water absorption) tests can be carried out on impermeable materials to those in which the maximum rate of flow of water is 1 mL/minute. The resolution in these tests is 1 microlitre. •	AIR PERMEABILITY	Related to carbonation in concrete and sulphur dioxide and hydrogen sulphide penetration in building materials. •	WATER PERMEABILITY	Important for freeze-thaw deterioration, salt scaling and chloride penetration of submerged structures. 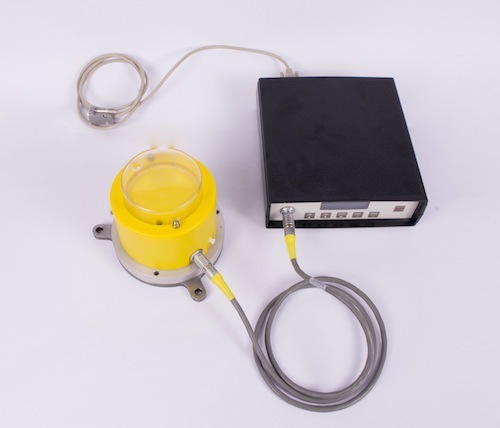 The Autoclam can be used to measure the air and water permeability and the water absorption (sorptivity) of concrete and other porous materials, both in laboratory and on site. Using this equipment, the rate of decay of air pressure is recorded for the air permeability test, whereas the volume of water penetrating into the concrete, at a constant pressure of 0.02 bar (2kPa) and 0.5 (50kPa) bar are recorded for the sorptivity and the water permeability tests respectively. These tests, which can be carried out quickly and effectively on site without prior planning, are essentially non-destructive in nature and a skilled operator is not needed. 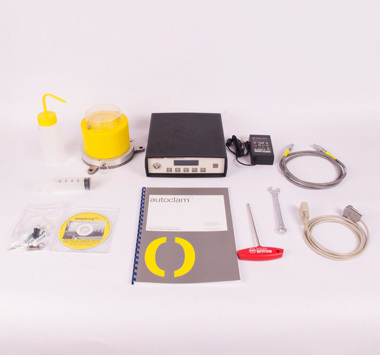 The Autoclam is supplied in a portable carrying case, and consists of two parts, the Autoclam body and its electronic controller and data recording system. (Fig. 1a). Base ring: One base ring that can isolate a test area of 50mm diameter (Fig. 1b) is supplied, which can be bonded to the test surface. Additional rings can be ordered separately and are available with a variety of test areas. Special bases (Fig 1c) for clamping to the test area rather than using adhesive are available. The electronic control box contains all the custom designed electronic control and recording hardware. On its front panel (Fig. 2) is a back-lit digital liquid crystal display screen, test selection keys, a reset key, and a twelve pin circular socket to connect to the Autoclam base unit. The control box houses an internal battery to permit use of the instrument on site without needing any external electrical facility. Also supplied with the kit is a DC power supply unit to permit extended site use and to charge the internal battery. The rear panel of the unit contains a standard RS 232 serial port computer connection and a two pin circular connector to connect a 12 to 24 volt DC supply or the mains power/charging unit and a power switch. Air permeability index	:	0 to 3.912 Ln(pressure)/min. The Autoclam Permeability System measures the air permeability, unsaturated water permeability and water absorption (sorptivity) of concrete, brick masonry and stone masonry, both in the laboratory and on site. It can assess the quality of building materials in terms of these properties, both soon after the construction and at any time during the service life of structures. Any defects of the building materials due to interactions with the exposure environment can be detected at any time and advance warning of the need for remedial measures before the structure starts deteriorating. The instrument, which is currently available in four different versions, is totally portable and easy to use on site. Non-skilled personnel can carry out the tests. The tests can be carried out without leaving any mark on the test surface, a unique feature that would be required, for example, while testing façades of structures. The total duration of each test is less than 30 minutes, which includes instrument setting up time. 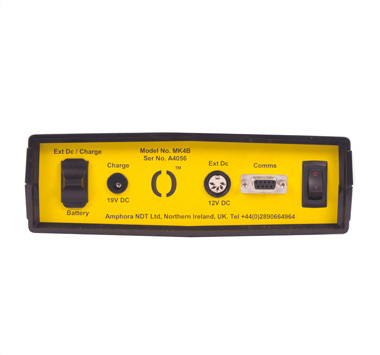 Up to 12 tests can be carried out using the battery pack available within the instrument or run continually during the day if an external power supply is available. The data from each test is stored in the controller of the instrument and can either be recorded manually or transferred to a PC for further analysis. 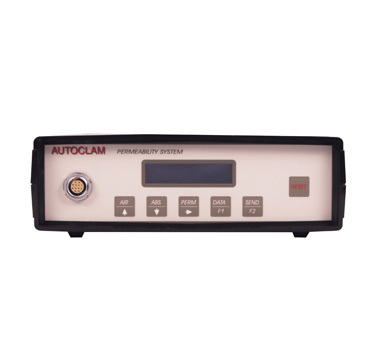 The Autoclam is a well-established instrument, with more than 30 countries using it for a range of applications. There is potential for it to be used for testing soil, slates, floor finishes, timber, asphalt concrete, etc. The Autoclam has been continually developed and updated for the past 25 years by Amphora and our research affiliates, being proven as a reliable instrument both on site and the laboratory. An overview of the key academic publications on the Autoclam has been provided below. Were possible full versions of the document have been supplied, subject to copyright laws. Some publications may require you contact the publisher directly. Concrete is a versatile and most popular construction material. Its long-term performance depends on the interactions with the service environment, in which the penetration of deleterious substances is highly significant. The latter can be considered solely controlled by permeation properties of the near surface concrete. This paper reviews first the various transport mechanisms which govern the ingress of deleterious substances into concrete and lists tests which could be used to determine these mechanisms. This is followed by a discussion on various mechanisms of deterioration of concrete in an attempt to highlight the transport mechanisms, which are relevant to each mechanism of deterioration. Finally, from the documented information the usefulness of permeation tests to assess the durability of concrete is discussed by presenting inter-relationships between the two obtained in laboratory studies. This paper descirbes a simple test measuring the sorptivity (a measure of the absorption property of concrete) and the air and water permeability of concrete on site. Using this test, the decay of pressure is monitired for the air permeability test, whereas water penetrating into the concrete at a constant pressure of 0.01 bar (1kPa) and 1.5 bar (150kPa) are recorded for the sorptivity and the water permeability tests respectively. These tests are essentially non-destructive in nature and a skilled operator is not needed. It is possible to carry out a number of tests quickly and efficiently on site without prior planning. It has been found that statistically satisfactory results can be obtained from a mean of three tests. As the flow lines are largely concentrated within 40 mm from the surface, reasonably reliable results can be obtained by drying the surface even if the surface under test is initially wet. The durability of reinforced concrete structures and structural elements depends on a large extent on the resistance of the surface layer of concrete (‘covercrete’) to the ingress of aggressive liquids and gases. The transport of these substances is mainly controlled by the sorptivity and permeability of the concrete. This measuring sorptivity and permeability should give useful information on the quality at the time of construction and its performance in service. Many researchers have therefore attempted to develop test methods to measure the permeability of the cover concrete. However, few such methods are widely used for site testing, mainly because of the disturbance and damage caused to the surface during testing. For these reasons the Autoclam permeability system was developed for in situ and laboratory testing of the durability characteristics of concrete. This apparatus is portable, essentially non-destructive and suitable for in-situ use to determine the air and water permeability. Detailed laboratory investigations have been carried out with this new equipment. Both the durability of concrete and permeation test results are influenced by the degree of saturation of capillary pores in concrete. In a laboratory, the moisture distribution of a test sample can be standardised by oven drying, however, this is not feasible for tests carried out in situ. Therefore, an investigation was carried out to monitor the moisture distribution in the near surface concrete over an extended period and study its effects on in situ air permeability and sorptivity test results. The results indicated that moisture distributions in the near surface concrete within 10 mm of the exposed face are highly susceptible to changes in exposure conditions. However, when the internal relative humidity of the near-surface concrete layer was less than 80%, the results of the in situ permeation tests could be used to identify the variation in quality of concrete. With greater emphasis now being placed on the durability of concrete and the need for on-site characterization of concrete for durability, there is an increasing dependence on the measurement of the permeation properties of concrete. Such properties can be measured in the laboratory under controlled ambient conditions, namely, temperature and relative humidity, and comparisons made between samples not affected by testing conditions. An important factor that influences permeation measurements is the moisture state of the concrete prior to testing. Moisture gradients are known to exist in exposed concretes; therefore, all laboratory tests are generally carried out after preconditioning to a reference moisture state. This is reasonably easy to achieve in the laboratory, but more difficult to carry out on-site. Different methods of surface preconditioning in situ concrete are available; however, there is no general agreement on the suitability of any one method. Therefore, a comprehensive set of experiments was carried out with four different preconditioning methods. Results from these investigations indicated that only superficial drying could be achieved by using any of the preconditioning methods investigated and that significant moisture movement below a depth of 15 mm was not evident. Many of the difficulties encountered with reinforced or prestressed concrete today are due to the ingress of harmful materials such as carbon dioxide and chloride ions. In gaseous form or as solids dissolved in water, they penetrate through the cover layer of the concrete to the steel where major harm may be done. Therefore, knowledge of the absorption and permeability of this cover layer of concrete is of major importance when one needs to make a prediction about the durability of a concrete structure which may be at risk. The Autoclam developed by Queen’s University of Belfast can be used to measure the air and water permeabilities and the water absorption (sorptivity) of concrete and other porous media, both in the laboratory and on site. Using this equipment, the rate of decay of air pressure is recorded for the air permeability test, whereas the volume of water penetrating into the concrete, at a constant pressure of 0.01bar and 1.5bar, is recorded for the sorptivity and water permeability tests respectively. These tests can be carried out quickly and effectively on site, are essentially non-destructive tests in nature and can be performed by a non-skilled operator. This paper describes an experimental programme carried out with water-cement ratio, aggregate-cement ratio and aggregate size as the variables and employing both the AUTOCLAM and the Initial Surface Absorption Test. The results of 27 different mixes are compared in order to understand the relative merits and demerits of these two in-situ test methods. An experimental programme was undertaken with water-cement ratio, aggregate-cement ratio and aggregate size as the three main factors in the investigation. Each of the three factors occupied three levels, resulting in an experiment with 27 different mix proportions. The permeation properties (the air permeability and the sorptivity) were measured with the Autoclam permeability system, an apparatus developed by the Structural Materials Research Group at The Queen's University of Belfast. The durability characteristics were measured also in terms of the freeze-thaw deterioration and the depth of carbonation. This paper describes the design of this factorial experiment in detail and illustrates the method of analysis which could be used to derive both the main and interaction effects of factors on the measured properties. Although progress could be made to achieve an optimum combination of various mix parameters from the durability point of view by resorting to the factorial design, the effect of various other interactive factors should be determined before any such attempts are made. The Autoclam permeability system has been designed and developed to measure the air and water permeability and the sorptivity of concrete near the surface. Using this equipment, the rate of decay of air pressure is recorded for the air permeability test, whereas the volume of water penetrating into the concrete, at a constant pressure of 0.01 bar and 1.5 bar are recorded for the sorptivity and the water permeability tests respectively. These tests, which can be carried out quickly and effectively on site without prior planning, are essentially non-destructive in nature and a skilled operator is not needed. It has been found that statistically satisfactory results can be obtained from a mean of three tests and as the flow lines are largely concentrated within 40 mm from the surface, reliable data can be collected by drying the surface even if the surface under test is initially wet. This paper describes the features of this invention and presents results of a laboratory investigation with water-cement ratio, aggregate cement ratio and number of days of wet curing as the variables. A study of these data has indicated that the Autoclam can serve to bridge the gap between the specification of durability and compliance with it in practice. Controlled permeability formwork (CPF) liner is designed to dewater the vertical surfaces of cast structural concrete prior to curing and is just now beginning to gain prominence in the international market. It can produce a great improvement in surface properties, especially those closely related to durability properties. Much structural concrete is produced with cements partially replaced with materials such as fly ash (PFA) or slap (GGBFS) but these are known to inhibit surface bleeding or laitance. There is therefore, the possibility that CPF used in conjunction with cement replacers may have a reduced effectiveness compared with pure OPC concrete. This work is designed to explore the use of CPF with PFA and GGBFS in terms of measured surface properties associated with durability. The properties measured are air permeability, water sorptivity, water permeability, surface strength and cube strength. It is seen that CPF may be used to advantage with PFA and GGBFS blended concretes but that it is best to work with blend ratios less than the maximum otherwise possible since some of the advantages gained are considerably degraded at these higher ratios. There is some indication that optimum blend ratios may exist but further work is required to define them. The durability of reinforced concrete structures can be improved by resorting to methods which insure a better resistance of concrete to various aggressive environments. Some commonly used methods include subjecting concrete to a better curing practice, the use of modified concretes, and the application of surface treatments on concrete surfaces. In addition to these, efforts have been made in the recent past to develop new techniques by which the water- cement ratio in the near surface region can be lowered and a dense matrix achieved. One way of achieving this is to use a controlled permeability formwork system (CPF), in which the surplus mixing water and entrapped air are removed from the fresh concrete via a fiber liner. This produces a surface layer of concrete with a very low permeability which is likely to be highly resistant to various forms of environmental attack. Relatively little information is available at present on the efficiency of CPF in improving the protection of the concrete against various mechanisms of deterioration and on how it compares with other techniques, such as the application of better curing practices. Therefore, an experimental investigation was carried out with three water-cement ratios, five different curing regimes (air curing, wet hessian curing, and the use of three different curing compounds), and the application of a CPF liner system. Measurements of gas permeability, sorptivity, chloride diffusivity, surface tensile strength, freezing and thawing resistance, and carbonation resistance have indicated that the use of CPF can enhance the durability of concrete and that the extent of this improvement is significantly more than that obtained for the various curing regimes. This paper details the experimental program and presents results which are used to evaluate critically the use of CPF for normal concrete. The effect of relative humidity on both air permeability and rate of carbonation is investigated. Descriptive models, based on data from an accelerated carbonation test, were developed to quantify the effects of the relative humidity and the air permeability on the rate of carbonation. The relationships between the rate of carbonation and physical properties, such as the permeation properties and compressive strength were established. It was found that the permeation measurements should only be used to estimate the likely rate of carbonation when the relative humidity of the concrete specimen is known. This paper reports results of an investigation in which the effect of moisture condition of concrete at the time of application of silane on permeation and durability characteristics of concrete was determined. T h e permeation properties (i.e. air permeability and sorptivity) were measured with the Autoclam permeability system, an apparatus developed at Queen’s University of Belfast. The durability characteristics were determined in terms of chloride penetration and carbonation. Also, a comparison of the performance of silane was made with that of a controlled permeability formwork system. The results indicated that the moisture condition of concrete at the time of application of silane does not affect its protective properties to any significant degree. Silane’s performance was comparable with, or better than, that of the controlled permeability formwork in terms of sorptivity and chloride penetration at three moisture conditions included in the investigation. However, silane was found to have relatively little benefit in terms of carbonation resistance in accelerated tests, surface tensile strength and air permeability of the near surface concrete. The use of controlled permeability formwork resulted in improvements in these properties as well. Several products for surface treatment are available on the market to enhance durability characteristicsof concrete. For each of these materials a certain level of protection is claimed. However, there is no commonly accepted procedure to assess the effectiveness of these treatments. The inherent generic properties may be of use to the manufacturers and those responsible for specifications, however, practising engineers are interested in knowing how they improve the performance of their structures. Thus in this review an attempt is made to assess the engineering aspects of the various surface treatments so that a procedure for their selection can be proposed. The use of a controlled permeability formwork (CPF) results in the removal of the surplus mixing water and entrapped air from the fresh concrete, thereby giving rise to a dense surface layer. One such system currently available in the UK is a fabric liner which can be attached to the formwork. Relatively little information is available at present on the effectiveness of this CPF system in improving the durability of concrete, and it performance on site is not yet published. The CPF was used in a test site in Northern Ireland while making piers for a bridge extension project in a motorway. Three piers of the bridge were cast with conventional formwork covering half the width and the CPF covering the other half on each face of the piers. Therefore, there were six panels of concrete cast with each type of formwork. These panels were tested for the tensile strength, water absorption and the permeability of the near surface concrete at the age of six months after casting. The results indicated a substantial increase in the surface tensile strength for panels made with the CPF compared to the conventional formwork. Also, there was a marked decrease in both the water absorption (sorptivity) and the permeability. The panels were treated with silane after completion of the above tests, at which stage the sorptivity and permeability were measured. When the bridge piers were nearly 3 years old the electrical resistivity of concrete was measured. These results are discussed in this paper. A good bond between substrate concrete and overlay concrete is essential to achieve durable repairs. There are a number of factors which effect bond strength, e.g. properties of substrate concrete and overlay concrete, surface preparation, moisture condition of substrate, etc. This paper presents results if an investigation in the effect of variations in substrate and overlay concretes on bond strength and interfacial air permeability. The experiments were carried out on three substrates using three overlay mixes. The effect of application on cement slurry on the substrate concrete before carrying out a repair was also studied. The pull-off test was used to evaluate the bond strength. After pill-off testing, samples were taken from these specimens for evaluating the interfacial air permeability index using the Autoclam permeability apparatus. The results indicated that not only was the bond strength dependant on the substrate or overlay concrete, but also dependant on the interaction between the two. The effect of the slurry coat for 0.6 w/c ratio overlay concrete was negligible, but it improved the bond strength for overlay concretes with lower w/c ratios. The interfacial air permeability indices were high for low bond strengths, indicating that the air permeability of the interface could be used to assess the quality of the bond. 8.2	Misra, A., Cleland, D. J., & Basheer, P. A. M. (2001). Effect of different substrate and overlay concrete on bond strength and interfacial permeability. Concrete Science and Engineering (Vol3), 73-77. Repair of concrete structures often involves breaking out cracked concrete and replacing it with a new material; either mortar or concrete. Integrity at the interface is an important property for the success and durability of the repair. This paper describes an experimental programme to assess the interface integrity by measuring adhesion strength and permeability. The work is described in two parts. Part 1 deals with the relationship between adhesion strength and air permeability at the interface between concrete and concrete. Part two examines the adhesion between concrete and a range of materials including polymers and polymer modified cementitious mortars. Cleland, D. J., & Basheer, P. A. M. (1999). Adhesion and integrity of joints between construction materials. In Y. Ohama, & M. Puterman (Eds. ), Second International RILEM Symposium on Adhesion between Polymers and Concrete(pp. 257-265). RILEM Publications SARL. 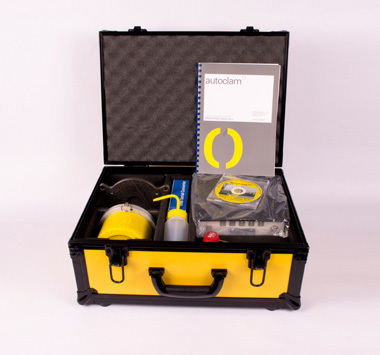 The Autoclam is an effective and portable non-destructive technique originally developed to measure the permeation properties of concrete as an indicator of durability. It performs three types of tests: water permeability, sorptivity (water absorption) and air permeability, which together provide a reliable assessment of the moisture transport characteristics of porous media. However, the very high permeabilities of some common stone types make it difficult to perform all permeation tests with the existing device. This paper describes several design modifications to the Autoclam that allows its use on high porosity stone. Preliminary results are presented and the use of the Autoclam in building stone research is evaluated.